Ultra HD is a term that refers to two video resolutions: 4K and 8K. 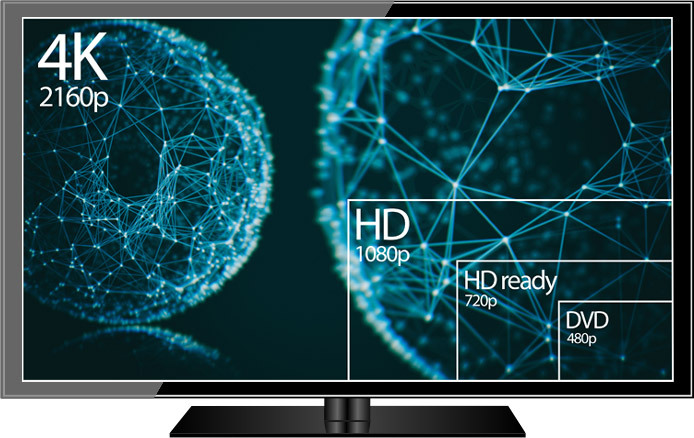 Much like the term High Definition describes video at 720p or 1080p resolutions, Ultra High Definition (Ultra HD or UHD for short) is a term that refers to two video resolutions: 4K and 8K. These terms actually describe the horizontal resolution of the video image, which are on the order of 4,000 and 8,000 pixels. With 4K TVs available everywhere, there will be more 4K/Ultra HD content produced. DivX Converter has multiple 4K profiles to make it easy for anyone to convert video to DivX Plus (H.264) 4K or DivX HEVC 4K.